Jacob R. Potts | DiNuzzo Index Advisors, Inc.
Jacob R. Potts is a Wealth Advisor since August of 2016 at DiNuzzo Index Advisors, Inc. which has operated as an SEC Registered Investment Advisory Firm since 1989 and currently manages over $701 Million in Assets Under Management as of March 29, 2019. 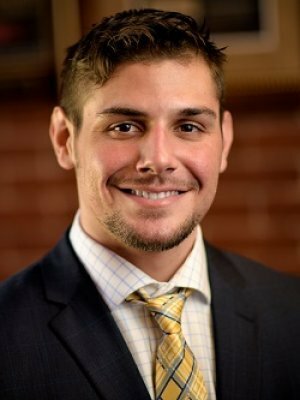 Jacob became our Client Service Advisor in December 2015, and achieved the position of Portfolio Management Team Manager in January 2017 after initially joining DiNuzzo Index Advisors, Inc. in May of 2015 as an intern while attending Robert Morris University. Jacob was a key component in DiNuzzo Index Advisors, Inc. being awarded the “#1 Best Places to Work” in Western Pennsylvania/Pittsburgh in 2016 by the Pittsburgh Business Times. Jacob is a graduate of Robert Morris University and received a BSBA (Bachelor of Science in Business Administration) degree in finance with a 3.9 GPA. Jacob is a member of the Financial Planning Association (FPA). In 2019 Jacob was awarded the Accredited Investment Fiduciary® (AIF®) Designation from the Center for Fiduciary Studies™, the standards-setting body for fi360. The AIF® Designation signifies specialized knowledge fiduciary responsibility and the ability to implement policies and procedures that meet a defined standard of care. The Designation includes an agreement to abide by the Code of Ethics. On an ongoing basis, Designees are required to complete continuing education to maintain the AIF® Designation. Prior to joining DiNuzzo Index Advisors, Inc., Jacob worked for ESB Bank as a Client Service Representative processing account transactions. Jacob was born and raised in New Brighton, PA and maintains a busy lifestyle by being a PIAA official umpiring baseball games, bodybuilding, monitoring a gym, and golfing when weather permits.